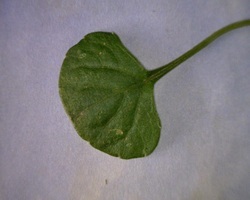 Dark green kidney-shaped to semicircular leaves from 10 -30mm wide. Dull greyish-green below. Edges irregular. Single flowers on stalks 100mm high. 5 petals. 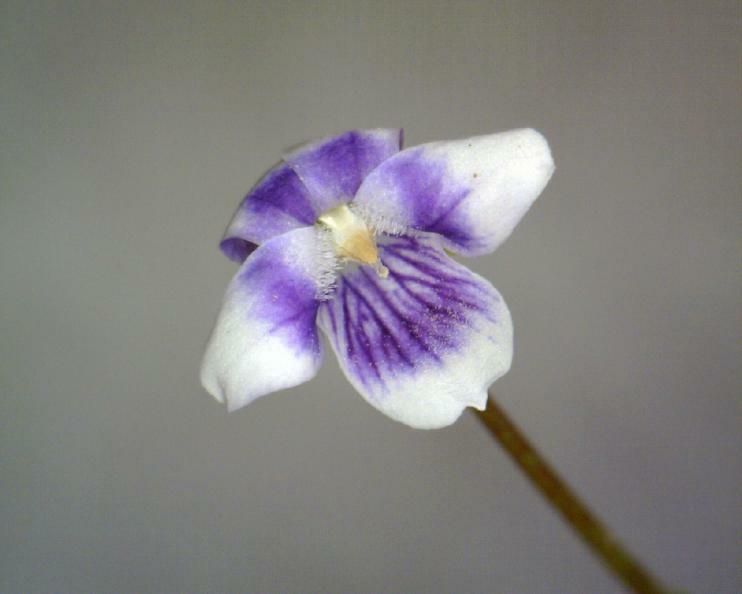 Front petal larger with distinctive veining. 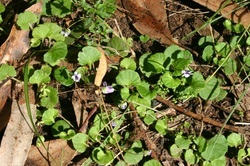 Other petals are generally curled. Colour white with violet markings. 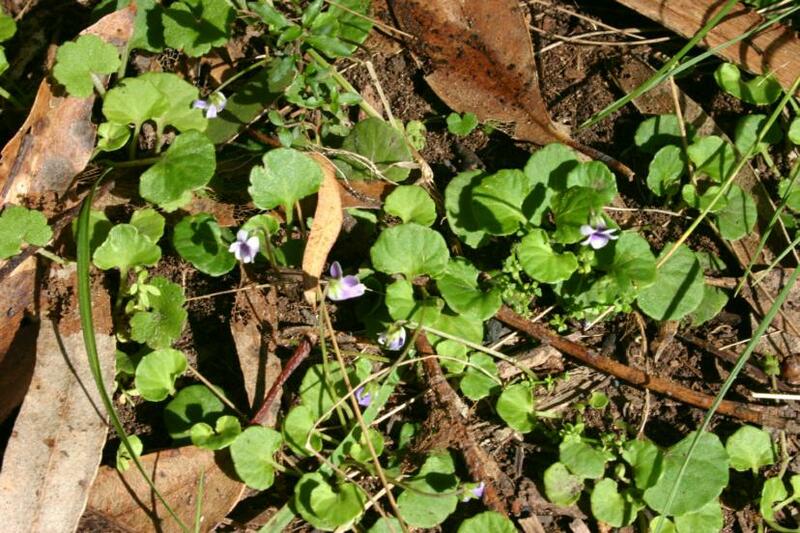 Naturally occurring plants in open woodland, shaded or cool positions.